A composite of 5 images shot as the moon entered Earth's shadow. 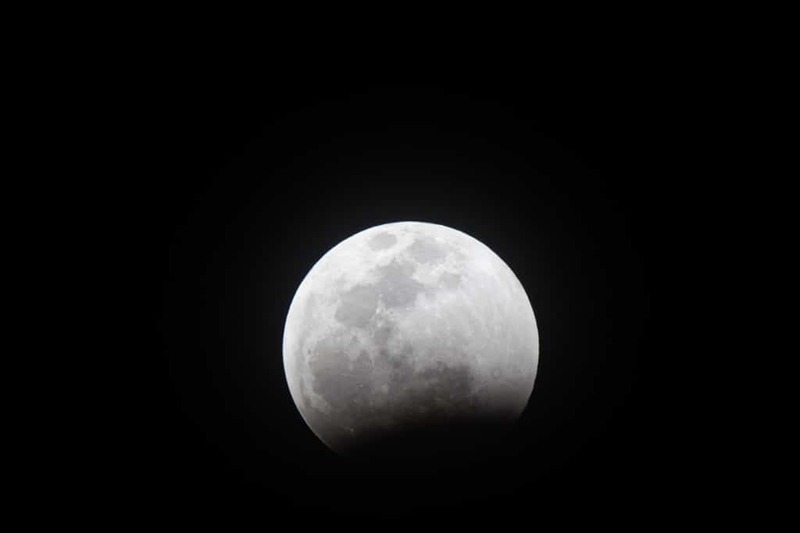 With all the buzz surrounding last night’s Super Blood Wolf Moon (that would be “super” because it’s at its closest approach to Earth right now, “blood” because lunar eclipses make the moon’s disk look red due to the fact that it is reflecting a “ring of sunsets” around the Earth’s edge, “wolf” because it’s in January, and “moon” because, well…) I figured I would jump on the bandwagon and have a shot at capturing some images as the moon entered the Earth’s shadow. The image I ended up with, a composite 5 frame composite generated usingn Photoshop, is shown above. Here’s how I created it. The full moon is small in the sky so you need a long lens if you want to fill an appreciable portion of your frame with it. I shot with a Nikon D500 and Tamron 150-600mm lens supported on a tripod. I kept the zoom set to 500mm because I know this lens gets a bit soft at focal lengths longer than that. The tripod was absolutely essential to minimize the possibility of camera shake - that’s a heavy rig and, even when using sturdy Manfrotto tripod legs and a Really Right Stuff BH-55 ball head, it wobbles a fair bit when shooting almost directly upwards. I chose the D500 over my other body, a D810, because it has a crop sensor and gives me a 50% effective increase in lens focal length; my Tamron set to 500mm acts like a 750mm on that body. Given the higher pixel density of the D810, the actual image size difference is probably not that great but it definitely feels better to see a larger moon in my viewfinder when using the D500. Again, to minimize the possibility of vibration introducing blur, I attached a cable release to the camera and enabled “Exposure Delay” mode, a nice little Nikon feature which tells the camera to delay releasing the shutter for 2 or 3 seconds after lifting the mirror, giving vibrations a chance to damp before the exposure is made. Here’s one of my early exposures to give an idea of the size of the moon’s disk on each frame. This is the uncropped original. 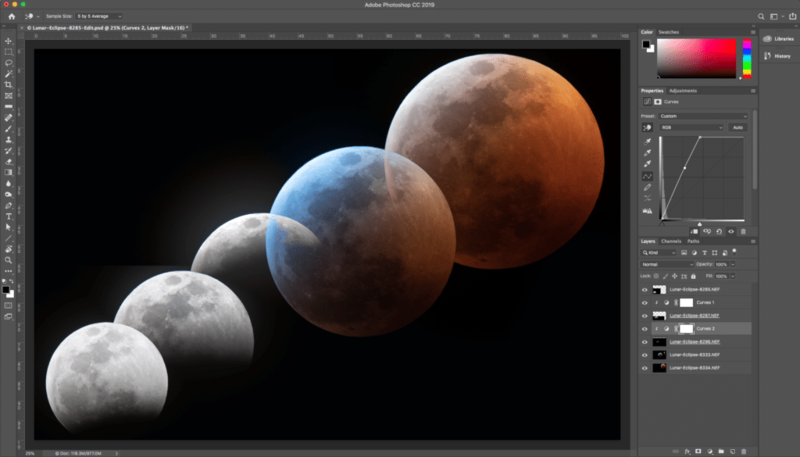 In shooting the frames for this composite, there were basically two exposures used - one when the moon was still reflecting direct sunlight (before it was fully eclipsed) and another when it was completely within the Earth’s shadow. The lit portion of the moon’s disk is very much brighter than you would expect. 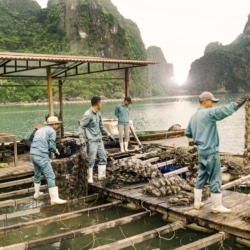 People tend to think of using long exposures at night but a typical full moon shot is likely to be taken with an exposure somewhat similar to one you would use on a cloudy day. My rule of thumb for a starting point is 1/125 at f/8 ISO 100. 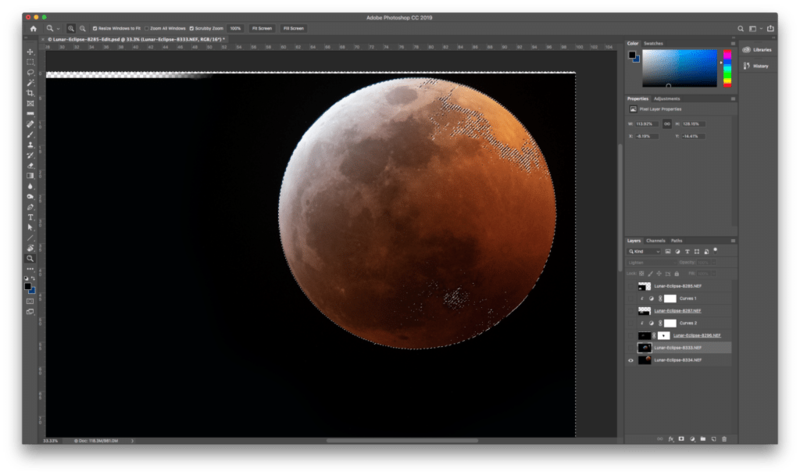 This works for the moon but will likely give you complete blackness around it so if you are trying to include foreground details you may need to use different exposures and blend the results to give a correctly exposed moon and visible details in the moonlit foreground. In my case, however, I was only interested in the moon’s face. During this portion of the capture, I set my exposure to 1/500 at f/8 ISO 400 (I made my shutter speed 2 stops faster than my rule-of-thumb and my ISO 2 stops higher to compensate). The D500 produces great images at ISO400 and I knew I would have to shoot at higher ISO for the later exposures anyway so I could use a higher shutter speed to give me yet more protection against wobble. After the moon is totally eclipsed, the situation changes dramatically and you are again in long exposure territory. I had plenty of time so could experiment with some exposures (I love the instant feedback you get from digital cameras!) and ended up choosing ½ at f/6.7 ISO1600 for the final two frames of the sequence. This is a difference of 8.5 stops over the initial, sunlit exposure! While the moon was sunlit, autofocus worked very well. I shot in Live View (it’s easier to see what’s in the frame on the display when the camera is pointing straight up since I don’t have to position my eye directly behind the viewfinder) and positioned the focus selector over an edge of the moon’s lit portion. When the moon was fully eclipsed, however, I switched to manual focus and zoomed the live view to allow me to see more detail to focus by. This worked nicely and I’m happy with the sharpness of most of the frames captured. 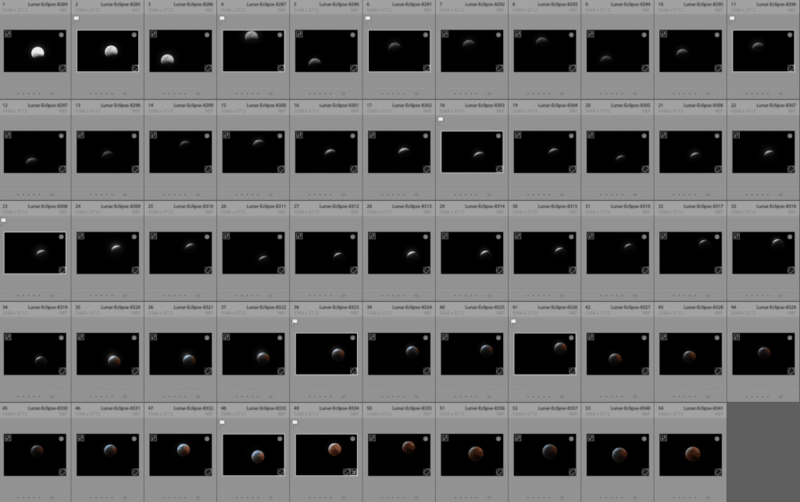 I did capture several frames each time I shot when the moon was totally eclipsed to ensure that unexpected camera motion didn’t affect every shot. Shooting at 500mm, you would be surprised at how quickly the moon moves through the field of view. Every 5 or 10 minutes, I had to adjust the camera position on the tripod to keep the moon fully within the field of view. With a wider lens, this would have been less of a problem, of course, but it did mean that any thoughts of using the intervalometer to shoot frames automatically while I sat inside the warm house were futile. Having captured the raw material, I had to decide what to do with it. 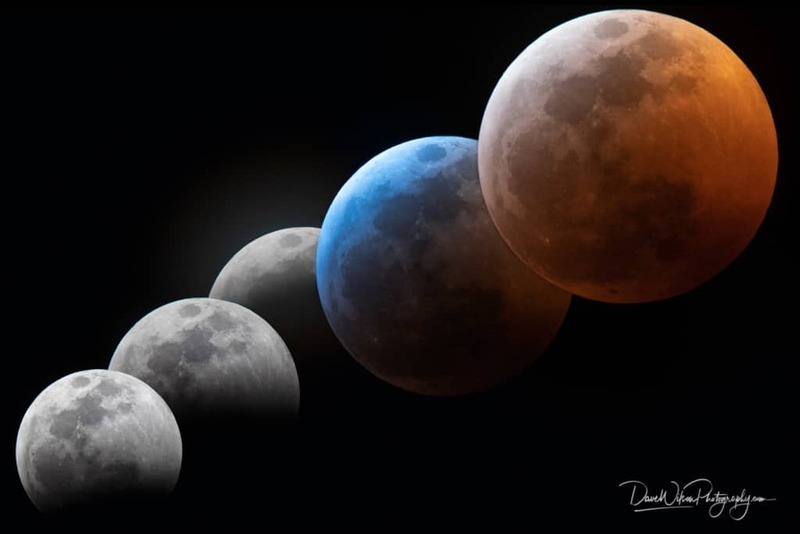 Rather than a simple collage of the basic frames showing the progression of the shadow over the moon’s face, I decided to go with a somewhat more artistic overlapping composition that would involve combining several images in Photoshop. I initially selected 8 images for the composition (you’ll see their thumbnails flagged in the previous image) and pulled these into Photoshop as separate layers before cutting the selection down to 5 frames for size reasons. To blend the layers, I started with a trick learned from Jerry Hayes. He uses it to blend exposures of high-end parties and events but it works beautifully when you have a collection of mostly-dark images that you want to mix together. 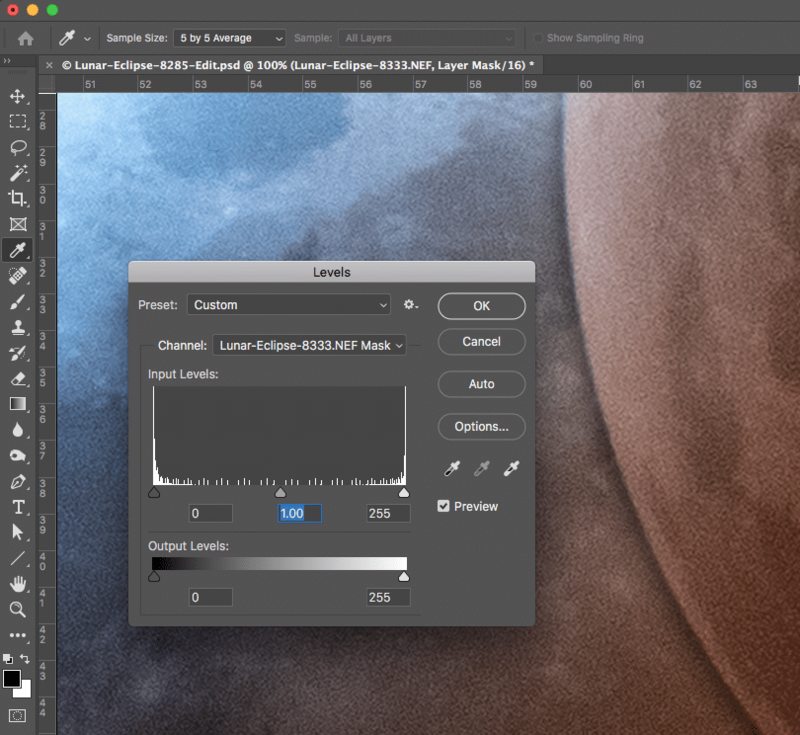 Select all the layers and change the blend mode to “Lighten”. 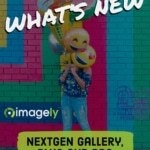 As if by magic, all the non-dark pixels appear and you’ve just saved yourself a great deal of time masking each layer. There were a couple of obvious problems here. First off, the three images in the bottom left were not equally bright. I must have been mucking around with exposures when I grabbed these so I needed to tweak them to equalize their exposures. Also, I didn’t want to have any of the overlapping images look semi-transparent so I needed to do something to make the two largest images overlap correctly. I dealt with the brightness variations first. 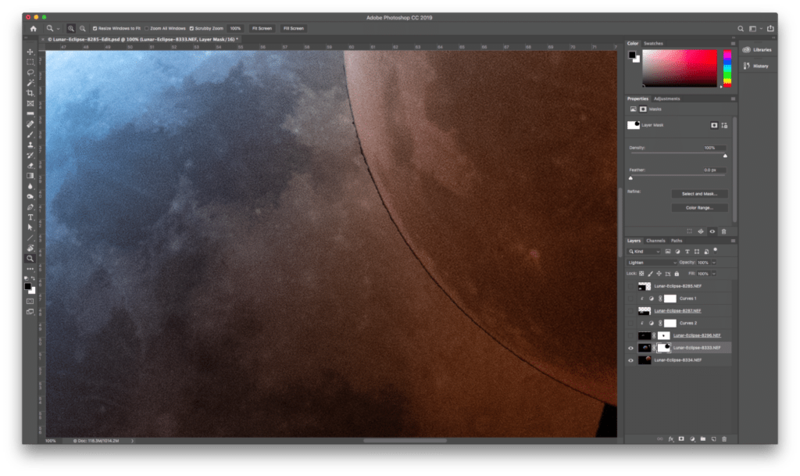 I selected the layer containing the second-from-bottom moon image and added a curves adjustment layer. I could have used Levels, Brightness/Contrast or Exposure adjustments but I prefer Curves since I can adjust everything I want using a single layer. Here’s another really useful trick when dealing with adjustment layers. When you add one, by default it affects every layer beneath it. Often, however, you only want it to affect a single layer, as was the case here. To make that happen, I moved the curves adjustment layer immediately above the layer I wanted it to affect then held down the Option key (or Alt on Windows) and moved my mouse pointer over the line between your curves layer and the layer below in the Layers palette. When over the line, the pointer changed to a downward pointing arrow with a square next to it. When this happened, I clicked the mouse button and Photoshop linked the adjustment layer to the layer beneath it. Any changes I made in the adjustment layer from then on only affected the layer immediately below. Now I needed to deal with the partial transparency problems. I started with the third-from-left image. I wanted to remove the section which appears behind the “blue moon” image to its right. In this case, it was a pretty small area so I could cheat and just hand-paint a layer mask to hide it. I select the layer whose mask I wanted to adjust and added a layer mask using the icon at the bottom of the Layers palette. I then clicked on the mask icon to the right of the thumbnail in the Layers palette and made sure it had handles drawn around it to indicate that it was what I would be drawing into next. 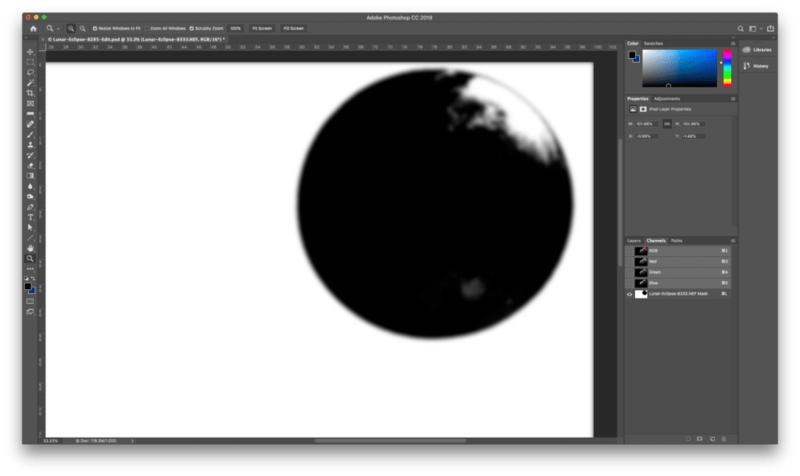 I selected the brush tool with a reasonably hard edge (I used a 300 pixel brush at 80% hardness) and black as the foreground color, then painted over the section of the moon that we don’t want to appear. It helped to zoom in so that the edges were easy to see. Here’s the result with both with the mask made visible (in the Channels palette) and without. For the final layer, I wanted the red moon on top. I could have used the same technique as I used for the previous layer but getting the edge clean would have been trickier. Instead, I used the magic wand and a mask blurring trick to exclude the “blue moon” section that overlapped the red moon. This is an old technique I’ve been using for a while. No doubt there is some faster way to do it with the latest Photoshop but this works for me. Note that the dancing ants were visible around the whole frame here. Next, I made the blue moon layer visible and, with the selection still active, created a new layer mask for the blue moon. This picked up the selection I had active and masked the blue moon the way I wanted. To get rid of this, I used another old trick (again, I’m sure there’s some other way to do this now but I know this method and it works well so…). I switched to the Channels palette, selected the latest layer mask and applied a 16 pixel Gaussian blur (Filter/Blur.../Gaussian Blur…). 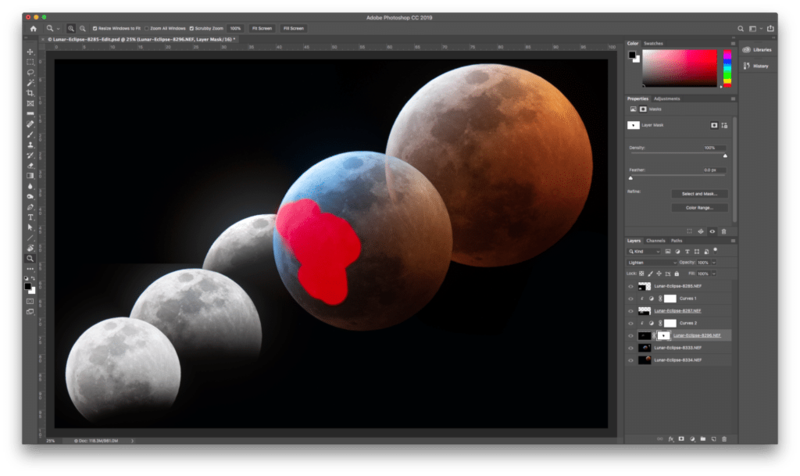 This was a fun little project to shoot and edit, and I hope you find this tutorial helpful next time you find yourself with a Super Blood Wolf Moon (or any other type of moon, for that matter) to photograph. Dave Wilson is an avid freelance photographer living in the Texas Hill Country between Austin and Dripping Springs. 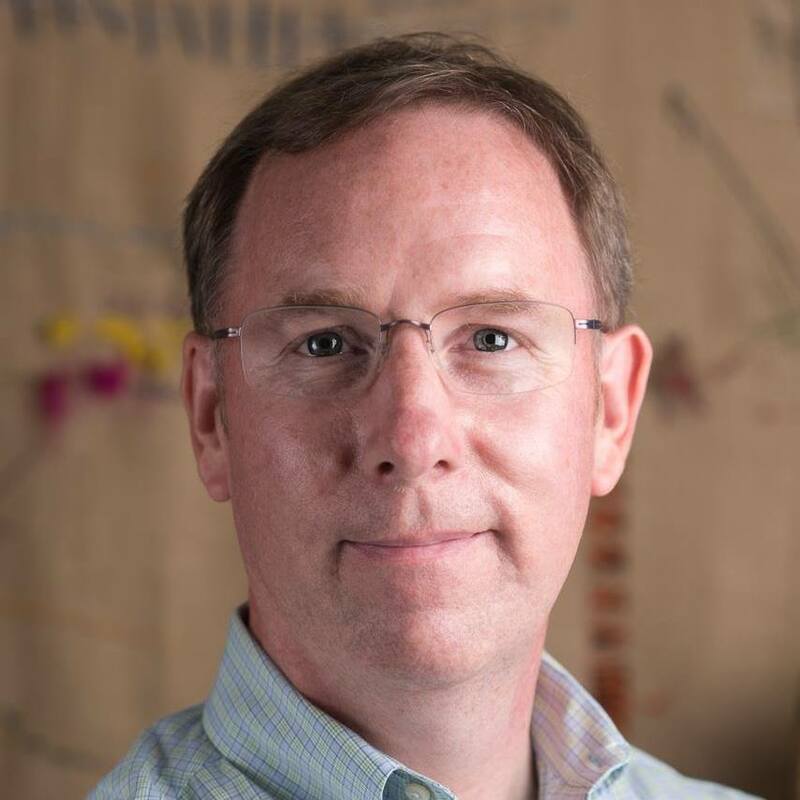 Dave is a native of Scotland and finds himself drawn to subjects, scenes, locations and objects which symbolize Texas, the American Southwest and the United States in general.